The rush to revitalize Downtown Fresno has brought new businesses to the heart of this city, and at the T.W. Patterson Building alone- there are nearly 30 companies, employing more than 300 people which have moved into one of our dozens of customizable office spaces. 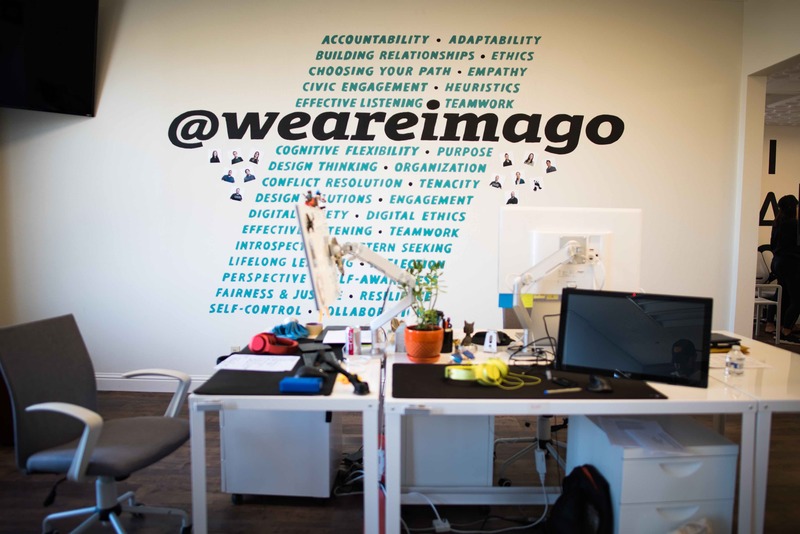 IMAGO is a local startup which first became a part of the T.W. Patterson Building family in 2017 and they loved it so much, they recently moved into a bigger space on the 8th floor. 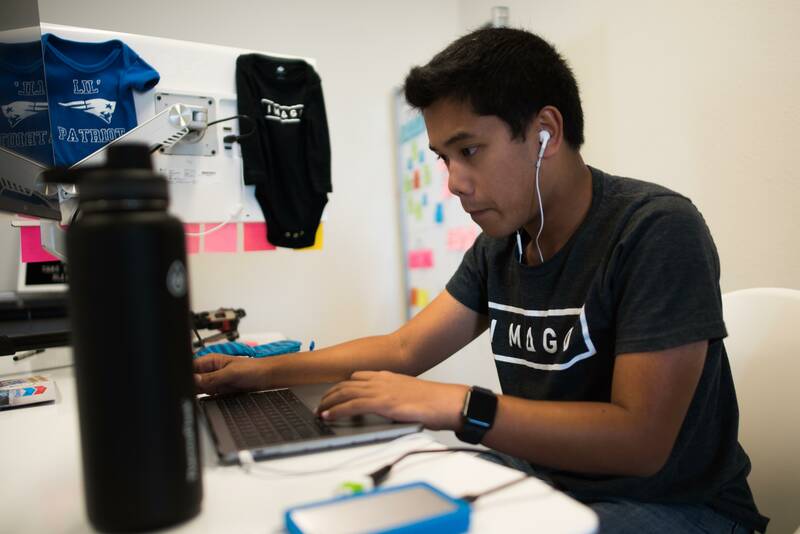 IMAGO is a Fresno-based learning organization which uses human-focused design to develop and deliver curricula, technology, and professional development to students, faculty, and leadership to increase emotional intelligence. For them, maintaining a positive work environment is a priority. This is why aside from their workspace, it was important for them to include a hammock in their office, as well as oversized bean bags and a ping pong table. 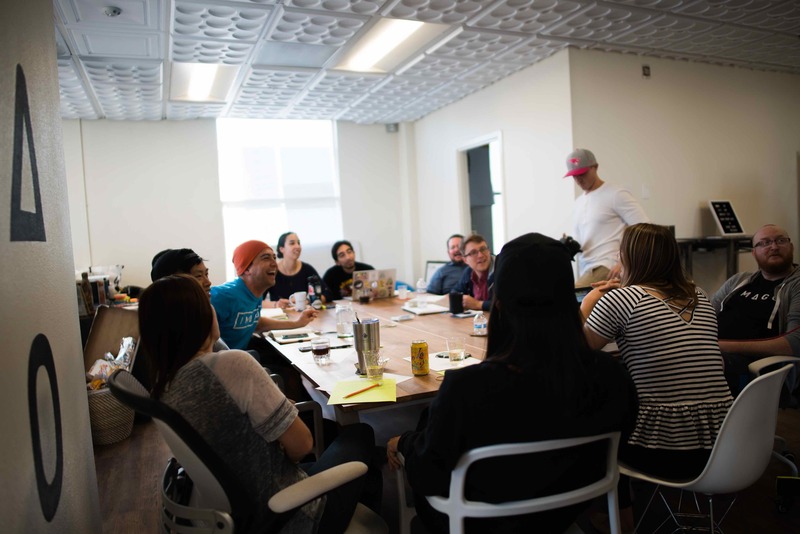 Edgar, Jon and the rest of the IMAGO crew spent some time coming up with the concept for their office, including the addition of a lounge and a fully operational kitchen. ‘For our group, a lot of our relationships are built around eating together so it’s cool to have a kitchen,” says Edgar. Just like IMAGO, several other tenants in the T.W. Patterson Building have added some modern flair to their suites. Custom suite build-outs are an option for anyone considering renting out a space in this 8-story building. Every floor is occupied in the historic building, but there are several suites available, in a variety of sizes. For most tenants, the appeal of being in this space is its structure and history, but there are so many reasons why companies should consider calling the T.W. Patterson Building their home. “This building is unique in many ways, from its architecture to its centric and convenient location, and of course the cool tenants that make this place thrive,” says Gamboa. To get a virtual tour of the open spaces available now, go here. You can also contact us to set an appointment to visit.